to your Self Catering Holiday Cottage near Edinburgh Scotland. ​with all sorts of flora and fauna. Available all year round. 2 bedrooms, ideal for a couple. or 1 preteen plus cot (on request). ​​Wood burning stove, Wi-Fi, view of 3 Forth bridges. ​Garden room with wood burning stove. This is a No pets inside or outside. No smoking inside the cottage and conservatory. holiday-cottage-edinburgh.blogspot.co.uk/2012/02/holiday-cottage-near-edinburgh-walk.html available July and August. ✔ 10 miles North of Edinburgh. ​✔ Access to our own private woods. ✔ Sleeps a family of 2 adults and 2 pre-teen children. ✔ 1 bathroom with shower/bath. 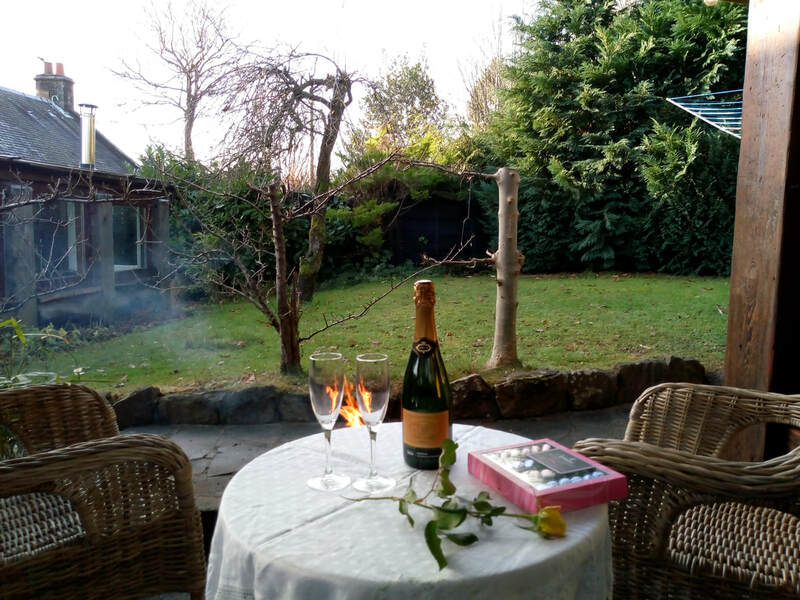 ​Delightful 100+ year old stone cottage with views of the 3 Forth Bridges.